Over the years I’ve codified implicit rules-based knowledge and implicit know-how types of tacit knowledge into explicit knowledge – however that’s only part of the kinds of knowledge. There are kinds of tacit knowledge that we don’t know how to codify now – and others that are simply too expensive to codify. Knowledge management is therefore a tricky challenge. It comes down to not only codifying those things which can be converted from tacit knowledge to explicit knowledge but also involves those things which cannot be converted. 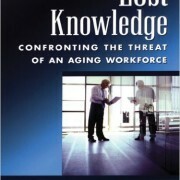 The book Lost Knowledge: Confronting the Threat of an Aging Workforce breaks apart the problem of knowledge management and talks about the various challenges to identifying critical knowledge which may be lost in your organization as well as strategies for retaining or replacing it. I’ve been considering tacit knowledge for a long time. Back in 2006, I was writing about how to convert tacit knowledge into explicit knowledge. This is the implicit to explicit conversion process I spoke about at the top of this article. More recently I wrote a blog post Apprentice, Journeyman, Master which speaks to the kind of tacit knowledge that cannot be codified and therefore converted into explicit information. Some kinds of knowledge are notoriously difficult to transfer. Consider the idea of transferring knowledge about how to troubleshoot a system. Bloom would say that this is a high-order appreciation of systemic knowledge – in other words, this requires a deep knowledge of a system. The kind of learning to understand a system is considered a more difficult educational objective. Gary Klein in Sources of Power argues that good decision making – the kind of snap decisions that military commanders and fire fighters must make – are inherently based on the experiences of the commanders and fire fighters. Because of that they can’t be easily transferred from one person to another. Efficiency in Learning speaks about how experts develop schemas – and how it’s often difficult for experts to communicate with novices because experts have developed more complex long term schemas for processing the information. Lost Knowledge also acknowledges this problem but not just from the pure learning perspective, but also from a cultural perspective. Sometimes the culture of an organization makes it difficult. Perhaps the experts don’t interact with the novices so they fail to develop a bond of trust between the groups. Perhaps the organization values innovation and individuality more than reuse. (i.e. Cowboy culture) Perhaps the organization is in a place where changes are common place and therefore older experiences and knowledge are discounted in value quickly. Interviews – Speaking with experts and recording the results. This could be in the form of audio recordings, video recordings, or transcriptions of audio recordings. Documentation – Obviously this is the conversion of tacit knowledge into explicit knowledge and for that purpose it’s exceedingly effective. Story Telling – For thousands of years humans have communicated and passed down information through stories. We’re relatively hardwired to learn from stories. Story telling involves retelling of important experiences by experts. Mentoring/Coaching – Mentoring and coaching is what it sounds like. The expert mentors a replacement – or coaches a set of less experienced individuals on their learning. Communities of Practice – These communities are designed to bring together the best practices for a topic area. By bringing together different ideas and having a group of experienced employees talking about it, novice employees will be able to extract knowledge. Explicit – Things that are specifically coded. Things that can be transferred without context through a book or other documentation. Implicit Rule-based – Information that can be made explicit but hasn’t been. Lock older employees in – Make them want to stay past retirement age. This can be additional compensation, education about what the needs typically are in retirement (many employees retire without fully understanding how they will meet their financial needs), or flexible work arrangements. Develop knowledge transfer programs to transfer their knowledge to other employees. As the figure above shows, some kinds of knowledge are resistant to transfer. The book enumerates a great number of strategies for retaining employees, which I won’t repeat here. Instead, I’ll offer up that the process of onboarding new employees is expensive. Programs to reduce turnover of all employees, not just those with important knowledge, is a good way for organizations to protect its velocity in the market. I want to leave with a parting comment. I vividly remember early in my career how difficult it was to find a job with little experience. I can remember thinking at the time that drive, tenacity, quick-wittedness, and hard work should outweigh the benefits of experience. After all, I had seen numerous people with experience that couldn’t compete with me. (Or at least they couldn’t compete with my delusional visions of grandeur.) However, I’ve begun to realize how experience can be an invaluable shortcut. Once you’ve solved a problem you don’t have to solve it again. You can review your previous answer – which can save a ton of time. 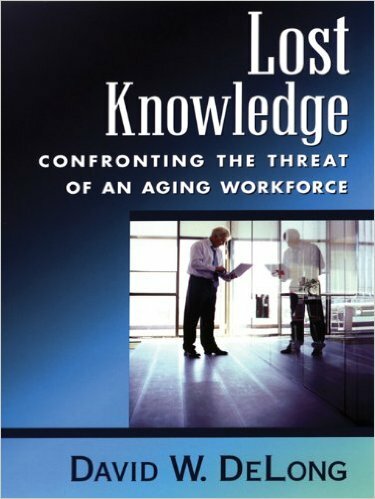 If you’re curious about how to retain and protect the knowledge that your organization needs to be successful, you should read Lost Knowledge.